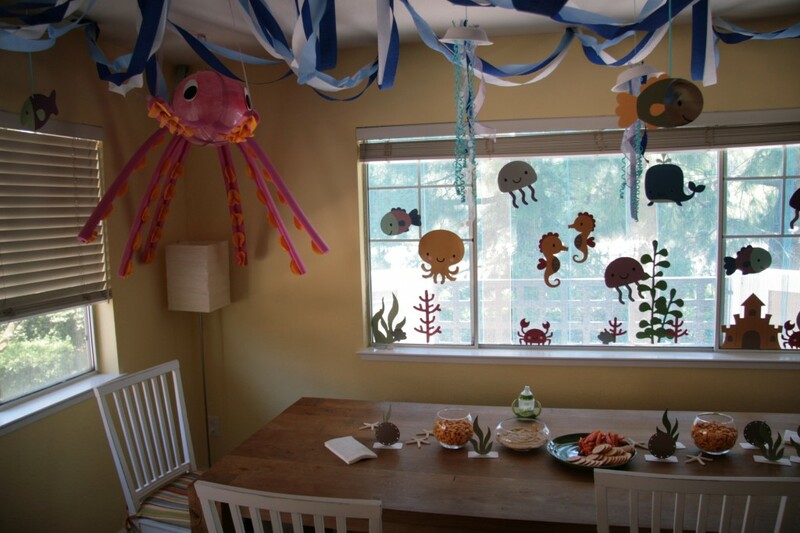 A Fish Themed Birthday Party! Shaped card designed with the Gypsy. All shapes cut from the Create a Critter Cricut cartridge. Stamps are by Close to My Heart. 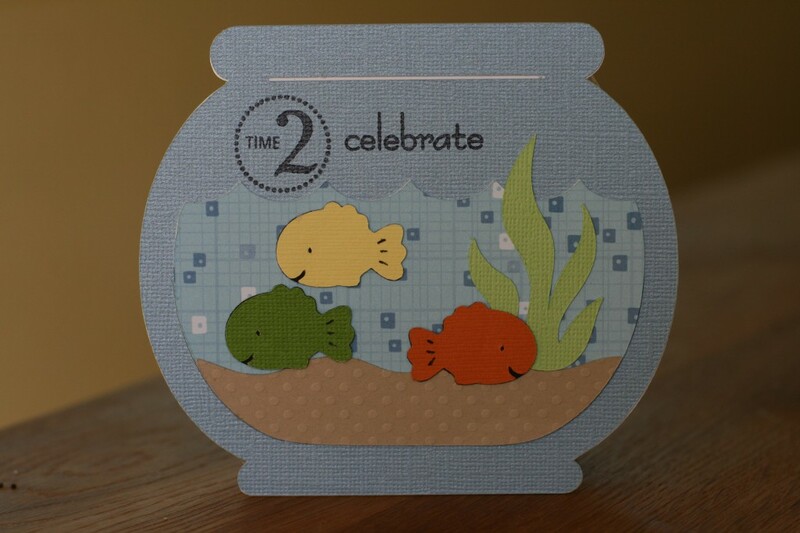 All shapes are cut using the Create a Critter Cricut cartridge. 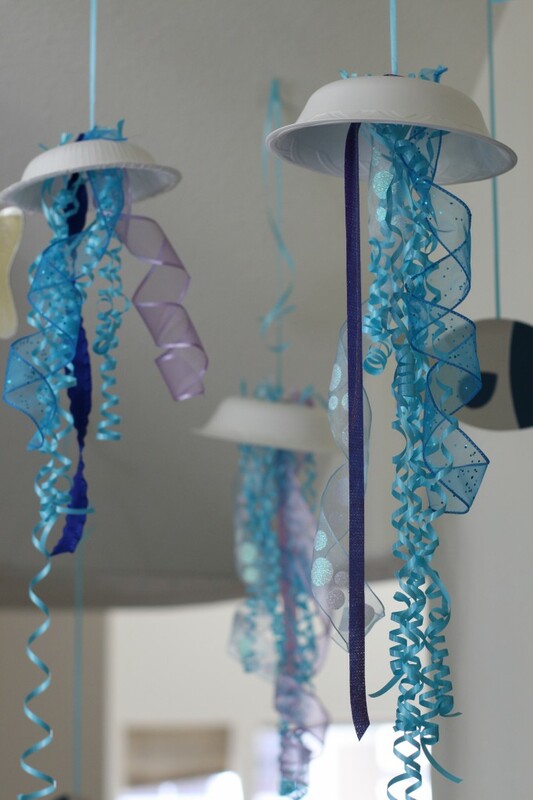 Jellyfish inspiration found via Pinterest. I simplified them to have time to make more. I used streamers in two shades of blue and white to make it feel like there were waves on the ceiling. 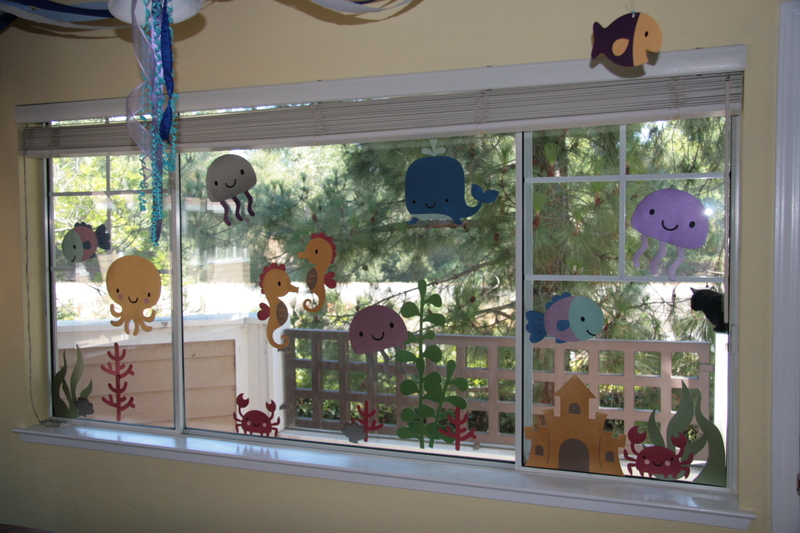 The hanging fish are cut from the Create a Critter Cricut cartridge and are double sided. 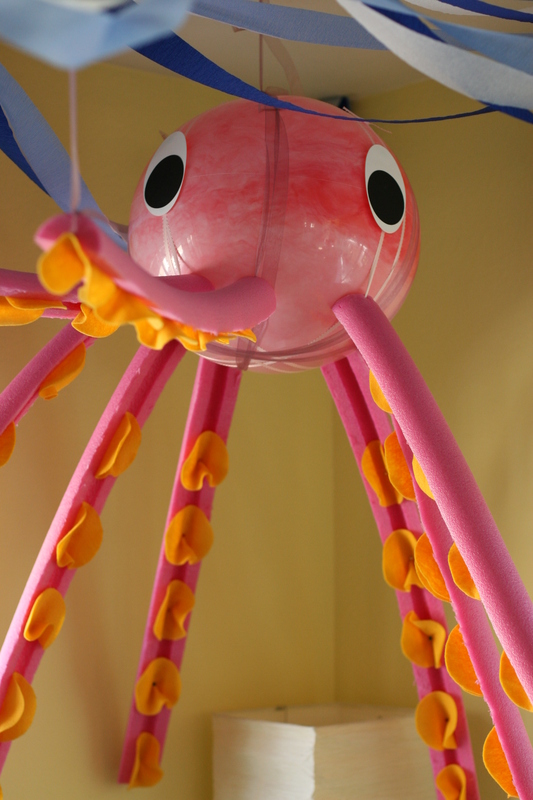 The giant hanging octopus! This was a group effort with help from friends. =) I made it using 2 pool noodles, quartered. I cut felt circles and pinned them onto the legs with sewing pins. 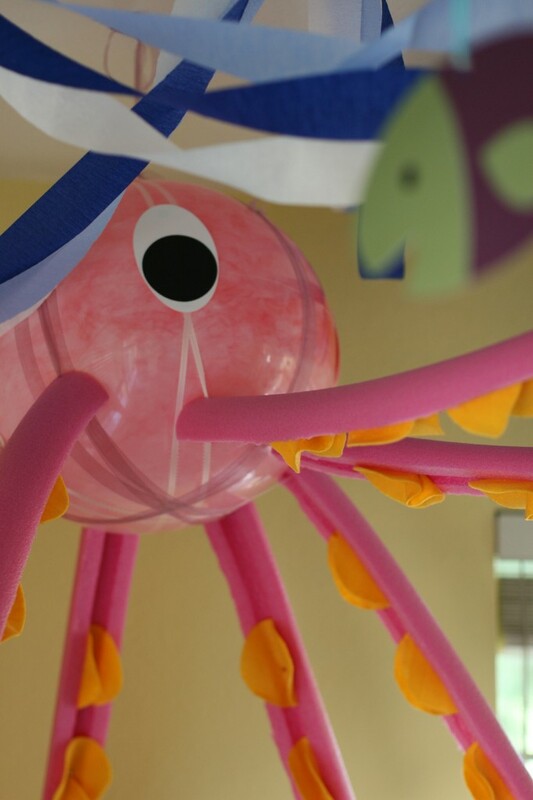 Then I sewed ribbon through the legs, wrapped it tightly and tied the legs onto the bouncy ball. The eyes were cut on the Cricut, just simple white ovals and black circles. 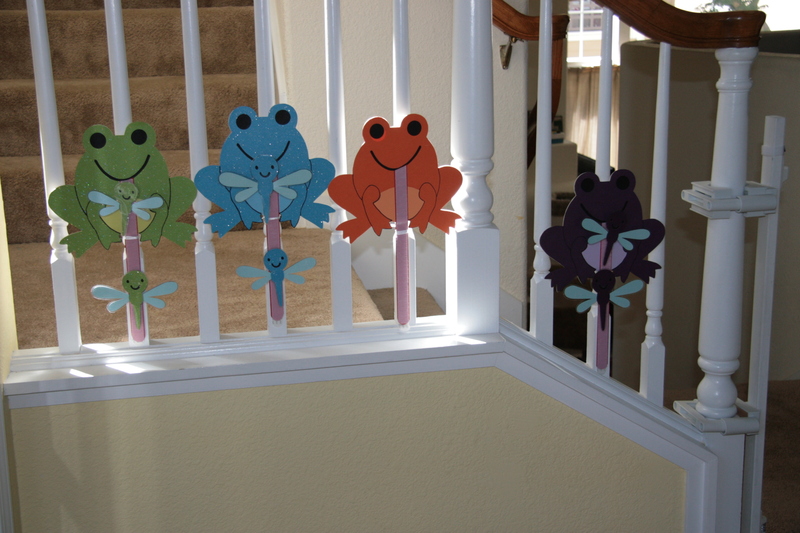 Hungry frog color matching game with velcro tongues and dragonflies. 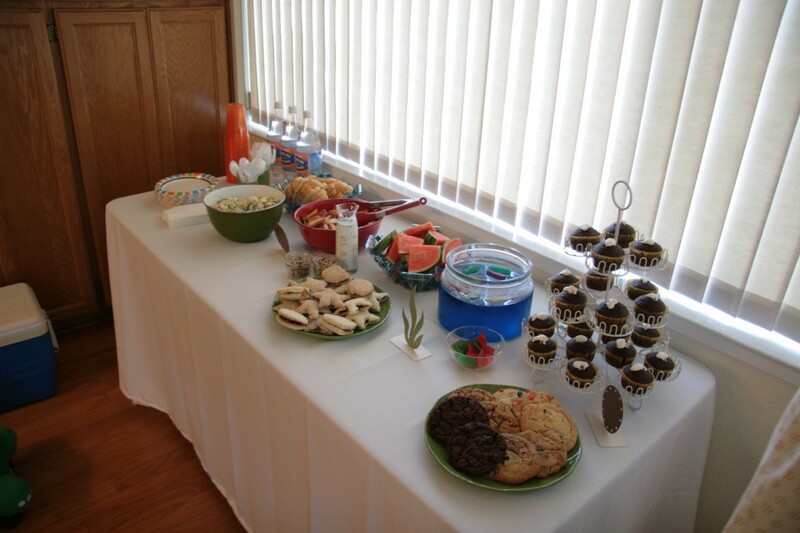 A glimpse of Tobin’s party shirt. 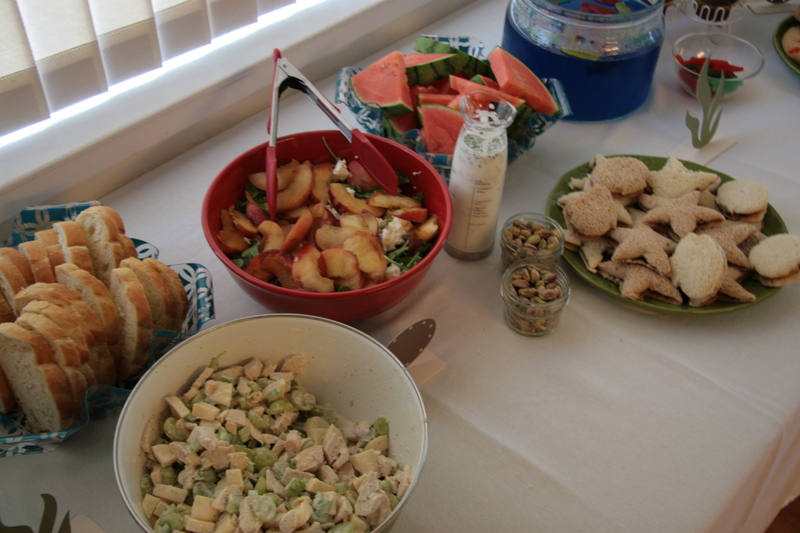 Cupcakes, chicken salad, peach and goat cheese salad with pistachios and buttermilk dressing, blue jello with Swedish fish, watermelon, quiches, peanut butter and jelly sandwiches cut into starfish and clams. 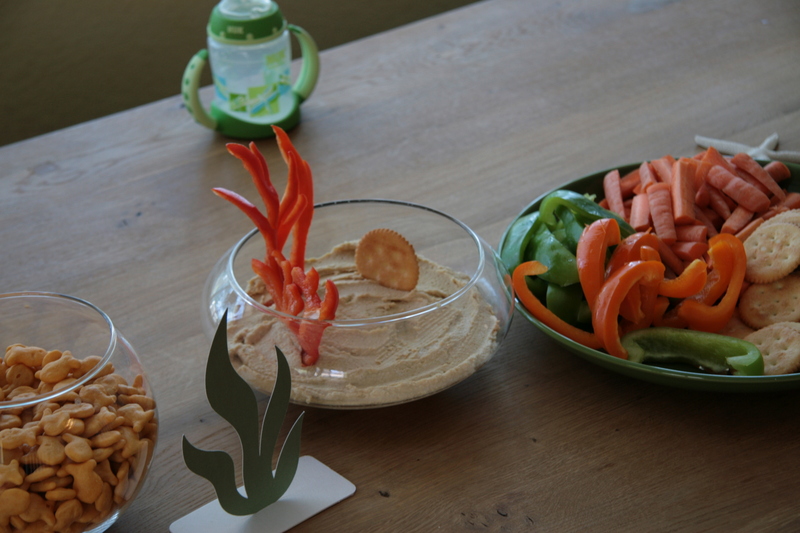 Goldfish crackers and hummus with carrots and bell pepper. I know I’m waaaaaay behind. But I finally entered the world of the ATG. Opinions to come after some good use. I thought I would do an extra post today about how I pack for a crop. I always want my layouts to focus on the photos, so that is where I begin. Sorting through the folder on my computer for an event, I get a feel for how many photos I want to include on the page, what sizes, vertical or horizontal, whether I need to expand to a 2 page layout. If I don’t immediately have an idea for how to arrange the photos on a page, I go straight to my sketch stash and start digging for inspiration. I love sketches from Sketches for Scrapbooking and Pagemaps but I also save the sketches from my Scrapbooks Etc. magazines and I bookmark or print any other pages online that catch my attention. Once I have the sketch (in this case, I selected a sketch from Sketches for Scrapbooking), then I match photos to the sketch and print them in the appropriate sizes. The sketches are flexible, though, so sometimes I add or take away photos or change the sizing. 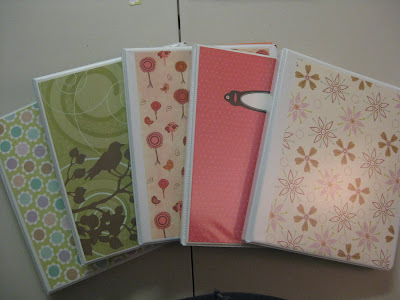 Next, I start digging through my stash to find papers, then embellishments to match my photos (in color and theme). Since I won’t be in my scrapbook space to grab things as I develop my layout, I try to think ahead and pack papers and embellishments that can take the layout in a few different directions. In this example, I used the blue paisley pattern as my main coordination point, but I selected both pink and purple supporting patterns to bring with me. I will most likely choose only one of those colors to play a major role in the layout as I don’t want it to get too complicated. When selecting patterns, I keep in mind that I will need both small patterns and large patterns for balance as well as monochromatic and more colorful patterns. After patterns, I pack solids sheets. I have a bin of scrap paper that I also bring with me (this is helpful for cutting out letters and embellishments) but I pack 12×12 sheets incase I don’t have the right color scraps. For embellishments, I just start looking through everything I have trying to find matching colors and themes. I love using journaling blocks so I try to pack some of those with every layout. Here, I grabbed a favorite set by Little Yellow Bicycle. I use my Cricut for the majority of my titles, but I also like to switch it up a little with chipboard, canvas, fabric, and other letter stickers. Here, I grabbed a new set of Thickers in grey with a stitch details. Because I’m planning to use pink or purple heavily in this layout, I wanted the grey to keep the layout from becoming a rainbow. Once I chose the grey letters, I also selected some grey button shaped rubons to continue the use of that supporting color. I have a huge stash (did I mention my husband has banned me from buying more?) of paper flowers and buttons. They take up too much room to bring with me, so I selected just some of each that match a few different colors in my layout to pack. Finally, I throw all of these scrapbooking goodies into a 12×12 inch clear folder (they have them at Michael’s) to bring to the crop! As you may have noticed, I didn’t post for over 2 months. Well, I was off traveling through Europe with my one year old son and my mother. We started in Cambridge, England then traveled by train Paris, France and Karlsruhe, Germany. Notre Dame. We were staying with a relative very close to here. On this pedestrian bridge in Paris, there is a relatively new tradition to bring your lover to the bridge and leave a padlock with your names on it. And you throw the keys into the river. Exhausted after a long day visiting Pere Lachaise. Tobin playing with Tante Rita, my husband’s great aunt. At the Karsruhe Zoo with mom and Aunt Alex. 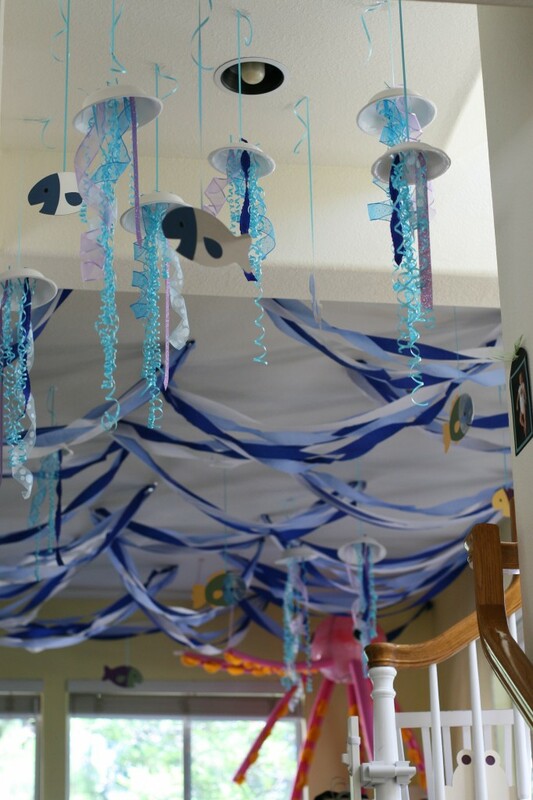 Check out this cute idea on the Making Memories blog! I will need to try this. 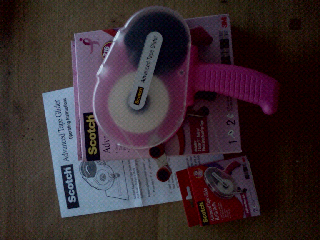 The Slice looks like a good tool for making it happen, but I’m sure I can do it on my Gypsy, too. The train flexible template. If you haven’t seen this concept yet, you must stop by Paperclipping to learn about flexible templates. And while you are there, check our her awesome videos. I love how Noell approaches scrapbooking from a strongly artistic side. Please send me mail at noeyspapers at gmail.com to claim your prize. I will be drawing a winner from the blog hop tonight at 10 pm Pacific. 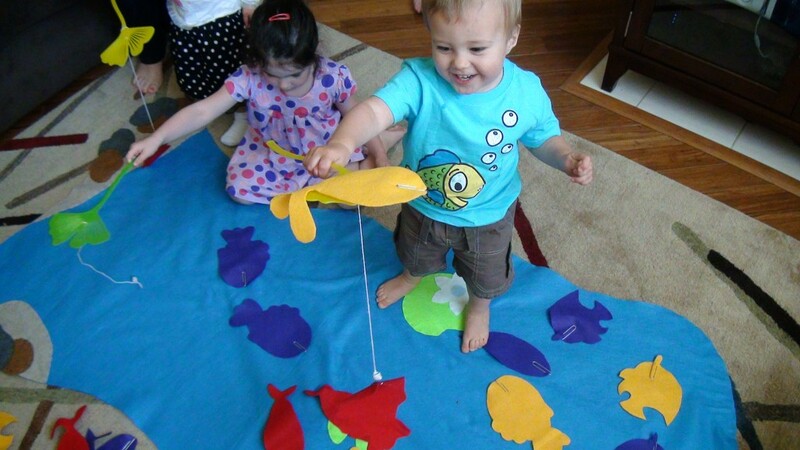 Posted in Tidbits | Comments Off on Happy Mother’s Day! Thank you all for the amazingly kind comments on my blog and layout this weekend! I’m so very happy to be a part of the Sketch Support Design Team and to work with Allison’s sketches every week. 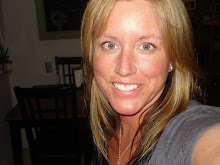 Congratulations to Lisa for winning Sketches for Scrapbooking Volume 7! As I’ve mentioned before, I love sketches and I use them for much of my work. A favorite resource for double page sketches is Allison Davis‘ blog. Well Allison, along with her family, own Scrapbook Generation Publishing under which Allison and her mother have published sketch books. And they have a scrapbooking store in MO, too! As part of their expansion in 2011, they’ve rounded up a Creative Team to help them show what sketches are all about. They will now be creating single page sketches, card sketches, and add-on sketches for smaller projects, too! I’ve been asked to join their Creative Team! I’m so excited to work with Allison and the other members of the Creative Team! I was happy to help on this project with friends.